“Expertise in this space [digital marketing] is not an old thing; it’s 10 years at best and it changes so much every year,” Phil Wade told CMO during a recent interview to discuss the airline group’s marketing transformation plans. Like most brands going through digital marketing disruption, Jetstar is facing a big learning curve. Over the past 18 months, the airline has upped its investment into Oracle’s Marketing Cloud stack as part of a wider transformation plan aimed at improving its ability to interact and engage with customers on their terms. Having originally started as a Responsys customer seven years ago, the group has since taken on Oracle’s conversion rate optimisation tool, Maxymiser, and data management platform (BlueKai DMP). Most recently, Jetstar rolled out Oracle’s push tool, a mobile add-on within the Responsys platform. Wade said the drivers for marketing’s overhaul and technology spending fall into three pots. The first is a group-wide vision to improve customer experience by having technology and marketing capability that allows customers personal interactions with Jetstar at every touchpoints. The third motivator is to improve the effectiveness of communications. “In a world when people are bombarded by messaging in so many different spheres, what that tech stack allows us to do is talk to people in the right space,” Wade said. Wade is the first to admit Jetstar hasn’t reached the ideal state of customer experience engagement. But there’s an ongoing commitment to bringing the customer to the heart of business decision making. The first step has been getting the technology in place to deliver and automate. This is where staff training is critical and vital. Wade noted marketing is becoming increasingly programmatic, targeted and digital. What he wants to avoid is a situation where only part of the team is digitally adept. That’s being achieved through internal training, Jetstar’s relationship with Oracle and via media agency partner, GroupM. “I think you have an active choice on whether you restructure, or you train. We have gone down the training route and long term, I believe it’s the right way to go,” Wade continued. What is also changing is the way teams operate. For one, projects and work now commonly involve cross-team collaboration across Asia-Pacific. Teams have also adopted an Agile working methodology. In addition, Jetstar has implemented a ‘personal training program’, where everyone has a budget to invest in training they need, something Wade said the team picked up from the startup community. Across the top, there’s an emphasis on building the right culture to become a world-class digital marketing team. All of this is impacting marketing initiatives significantly, and Jetstar senior manager, group customer targeted marketing, Emma Roberts, cited a growing emphasis on marrying channel activities. One recent milestone in Australia came off the back of implementing a DMP, allowing teams to unite email activity with display advertising. Having identified a disengaged customer segment within its email program, Jetstar switched channels and was able to talk to those individuals via display advertising as well. The result was between 7-70 per cent growth on incremental revenue and better engagement. “It was a massive win for us, because our email customer base is incredibly valuable and it delivered great results,” Roberts said. She’s now working to add search marketing into the mix. Jetstar is also implementing a dynamic creative optimisation (DCO) tool, gaining the capability to personalise display messaging. Personalisation is already the norm across Jetstar’s email programs. One ongoing, trigger-based program which won the airline an award at the annual Oracle Markie Awards this year sees the company sending a suite of eight emails in seven languages post-booking. These are based on demographic as well as what an individual purchased within their itinerary. According to Roberts, the program delivered a 20 per cent ROI improvement on pre-launch results. But arguably, more important was the impact on customer satisfaction. 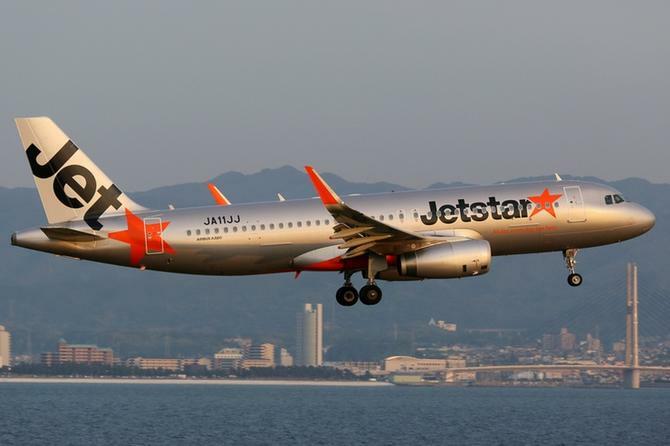 Being a low-cost carrier, Jetstar is often chosen by first-time flyers in Australia and Asia, making it imperative the brand provide reassurance at every stage of the journey, Wade said.